Discover the beauty and tranquility of southern Chile as you explore the Vicente Pérez Rosales Park during this full-day excursion. Visit the Petrohue Waterfalls and see where the river flows over volcanic lava rocks. 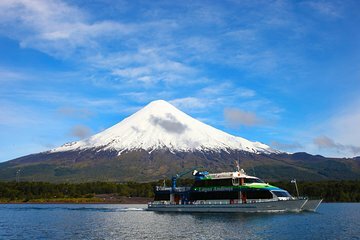 Then head to the village of Peulla to get a look at a group of volcanoes and admire the beautiful landscape before heading back to Puerto Varas.